The Remains takes the idea of the ‘city after hours’ as referring both to the nocturnal city and the cinemas it has housed while also pointing to the spectral traces that remain – long ‘after hours’ – once these cinemas closed and in most cases vanished from view. 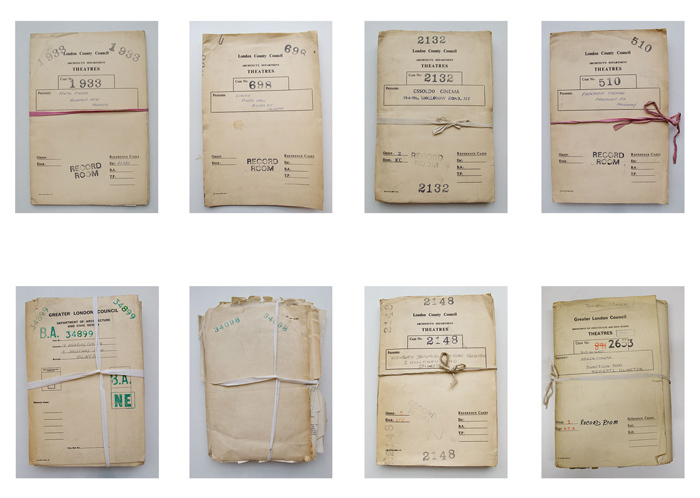 Rather than focusing on images of the cinemas or the films they screened, The Remains looks to the archive and the tangible remains that are left behind: the manila folders that contain architect reports, letters to and from London Country Council and applications for cinematographic licenses, for example. 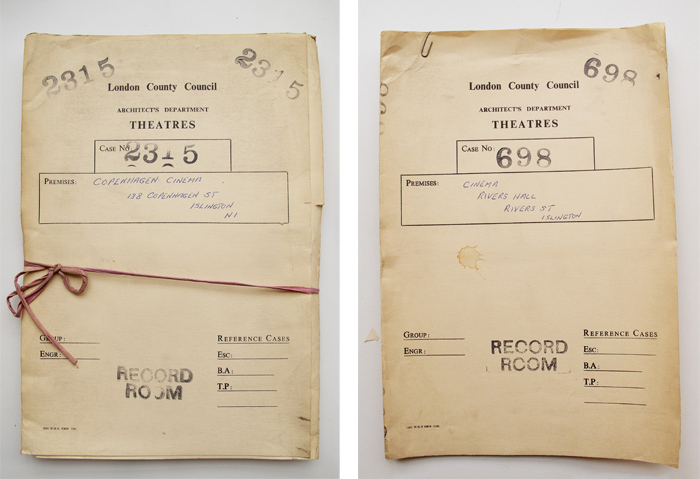 This is the minutiae of the hidden lives of the cinemas that once entertained the city at night. The Remains is part of an ongoing artist research project initiated by Nightingale to unearth, collect, and illuminate the multiple histories and present-day realities of Islington’s cinematic past, see project website: Islington’s Lost Cinemas.